What is the Effect of the Protective Tube of a Bimetal Thermometer? 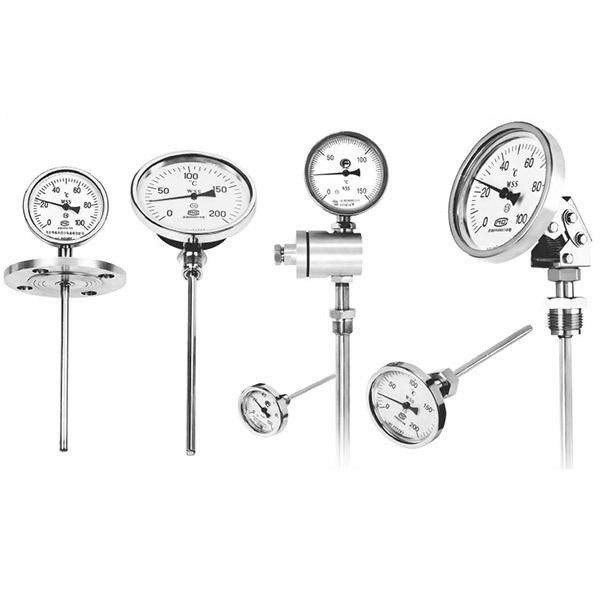 - SILVER AUTOMATION INSTRUMENTS LTD.
Nowadays, the bimetal thermometer has been an indispensable measuring instrument for on-site temperature indication in the industrial production, and the application occasion is also different, so the protective tube (sheath) of a bimetal termometer appears essential. So what is the effect of the protective tube (sheath) of a bimetal thermometer? The so-called protective tube (sheath), as the name implies, plays the role of protecting the thermometer. For the corrosive, high-temperature, high-pressure, explosive, easy to burn and other risk factors of the measurement medium, the thermometer cannot be directly contacted, then the role of the protective tube appears. It is in order to protect the inside temperature components, but also for easy maintenance. If the material has corrosive, high temperature, high pressure, easy to explode, easy to burn and other dangerous factors, the bimeta thermometer must be added protection casing. That is, first installing casing in the pipe or container welding threaded or flange-type installing casing, then installing the bimetal thermometer in it. If the measurement is air, inert gas or water and other conventional substances, there is no need to protect the casing, and the bimetal thermometer should be installed directly in the joint on the line, which also can save money. Through the above simple narration, we understand that there is an important roles of the protective tube (sheath) for the bimetal thermometer, which can protect the inside temperature sensor. And if the bimetal thermometer is broken, the overhaul is also very convenient.